Canceling a timeshare contract in Texas is possible if you act swiftly and proceed according to the Texas timeshare laws in place. How can I cancel a timeshare purchase in Texas? What disclosures must a timeshare developer provide according to the Texas timeshare act? Are there any consumer protection timeshare laws in Texas to cover customers in timeshare deals? Does Texas timeshare cancellation law allow me to cancel my timeshare contract? If I quit paying and face timeshare foreclosure in texas, will it be nonjudicial or judicial foreclosure? The timeshare buyer receives the Timeshare Disclosure Statement as required by Texas Timeshare Cancellation Law. (Tex. Prop. Code Ann. § 221.041), whichever occurs later. According to Texas Timeshare Cancellation Law, this right to cancel the timeshare contract is not allowed to be waived by either party. If a timeshare contract does contain a waiver of the timeshare cancellation right, it is voidable by the timeshare buyer (Tex. Code Ann. Â§ 221.041). Deliver the Notification of Cancellation to the timeshare developer by hand in person. Have the United States Postal Service deliver the Notice of Cancellation by prepaid United States mail to the developer’s address. Send the Notice of Cancellation via overnight delivery to the timeshare developer or the developer’s (Tex. Prop. Code Ann. Â§ 221.042). If you exercise your right by Texas timeshare cancellation law to terminate the agreement, the timeshare developer is required to provide you with a refund of all funds you paid prior to the date of cancellation. Prior to or on the 30th day following the day on which the designer received your timely Notification of Termination. Prior to or on the 5th day following the day the designer obtains funds from the timeshare buyer, whichever is later (Tex. Prop. Code Ann. Â§ 221.042). Too Late to Cancel a Texas Timeshare Contract?Click For Help! The timeshare developer has to provide a Timeshare Disclosure Statement to the timeshare buyer before the timeshare contract is signed. The timeshare designer is also required by the Texas Timeshare Act to obtain the buyer’s signature on an acknowledgement of receipt of the Timeshare Disclosure Statement. (Tex. Prop. Code Ann. Â§ 221.032). The kind of timeshare plan supplied. Full description of the period as well as operation of the timeshare plan. Full description of the existing or recommended accommodations. Full description of any existing or proposed services of the timeshare plan. Full description of the method through which you will be able to arrange your use of the timeshare. Full description of the method as well as timing for doing maintenance of the timeshare property. The predicted usual expense responsibilities. The copies of the bylaws, declaration, as well as the timeshare’s articles of incorporation. Texas timeshare laws restricts developers and salespeople from participating in misleading profession techniques. Failure to divulge essential details about a timeshare interest. Making untrue statements or offering misleading information about the facilities and amenities or accommodations available to a timeshare customer. Prediction of specific and/or increase in value of timeshare ownership or unit without a sound, truthful basis for such forecasts. Making untrue or deceiving declarations of reality concerning the period that lodgings or facilities will certainly be readily available to a timeshare owner. Making deceptive or false declarations about conditions of exchange of the timeshare owners weeks or usage of timeshare units in the original timeshare property or another property. (Tex. Prop. Code Ann. Â§ 221.071). If you receive financing to buy a deeded timeshare and also fail to pay your mortgage payments on your timeshare or keep up with fees and assessments associated to your timeshare ownership, you will likely find yourself in foreclosure. In the case of timeshare foreclosure Texas laws allow for either judicial (proceedings take place through the courts) or nonjudicial (where lenders are not required to use the courts of the state of Texas to procure a foreclosure). 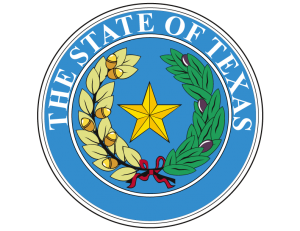 The Texas timeshare act and specific laws that control Texas timeshares are available for review found in the Texas Property Code , Chapter 221 entitled the “Texas Timeshare Act.” View them online: Texas Timeshare Act. Does Canceling a Timeshare Contract in Texas Seem Overwhelming? If canceling a timeshare contract in Texas is not possible for you under the Texas Timeshare Act, call us now for a Free Timeshare Redemption Consultation. Redemption and Release, LLC makes your Texas timeshare cancellation process easy! Contact us today at 1-888-743-9051 or use our Online Contact Form for more information on how to cancel a timeshare in Texas.